Wicked Musical on Broadway grossed $1,495,735 and had an attendance rate of 93.7%, about 0.8% more than that of the previous week. The 22 shows on the boards grossed $17,072,243, dropping around 1.94% from the previous week’s totals. 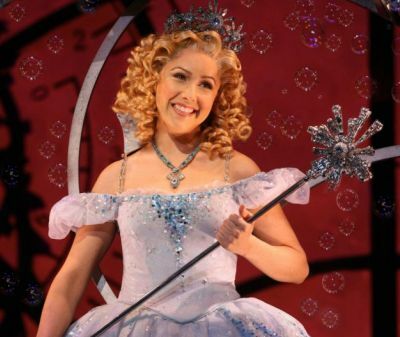 Wicked Broadway company Welcomes Back Alli Mauzey as Glinda. Beginning performances on Tuesday, October 16th, Alli Mauzey will return to the role of Glinda in the Broadway company of Wicked Musical at the Gershwin Theatre. Chandra Lee Schwartz, who is currently playing the role of Glinda, will play her final performance on Sunday, October 14th. Alli Mauzey returns to the Broadway company of Wicked as Glinda, having previously played the role on Broadway and on National Tour. Other Cast – On Tuesday, September 25th F. Michael Haynie joined the company, making his Broadway debut in the role of Boq. They join a cast which currently includes Jackie Burns as Elphaba, Kyle Dean Massey as Fiyero, Randy Danson as Madame Morrible, Adam Grupper as The Wizard, Jenny Fellner as Nessarose, and Tom Flynn as Dr. Dillamond. Etai BenShlomo concluded his run in the role of Boq on Sunday, September 23rd. Wicked is the untold story of the witches of Oz. Long before Dorothy drops in, two other girls meet in the land of Oz. One, born with emerald-green skin, is smart, fiery and misunderstood. The other is beautiful, ambitious and very popular. Wicked, winner inner of 35 major awards including the Grammy Award and three Tony Awards, tells the story of their remarkable odyssey, how these two unlikely friends grow to become the Wicked Witch of the West and Glinda the Good. Buy Wicked Gershwin Theatre Tickets Online at discounted prices, Get $10 OFF on Orders of $350 or more by using code AFF$10. Wicked Broadway grossed $1,435,082 and had an attendance rate of 92.9%, about 7.6% more than that of the previous week. The 22 shows on the boards grossed $17,402,738, improving around 6.68% from the previous week’s totals. Wicked as a part of the 2012/2013 KeyBank Broadway series, will be playing at the Seattle’s Paramount Theatre from October 10 to November 17, 2012. “Wicked” is the story of two girls and the very different lives they end up with. Long before that girl from Kansas arrives in Munchkinland, two girls meet in the land of Oz. One – born with emerald green skin – is smart, fiery and misunderstood. The other is beautiful, ambitious and very popular. How these two grow to become the Wicked Witch of the West and Glinda the Good is at the heart of “Wicked.” Wicked Musical returns to Seattle on October 10. Wicked will continue performances at Paramount Theatre WA through November 17, 2012. Buy Wicked Seattle WA Tickets Online at discounted prices, Get $10 OFF on Orders of $350 or more by using code AFF$10. Dee Roscioli will return to the role of Wicked’s legendary green girl Elphaba in the first national tour of the Tony Award-nominated hit musical Wicked, beginning September 25 in Las Vegas. Roscioli previously played the role of Elphaba on Broadway, in Chicago, in San Francisco and on national touring productions as well. Roscioli made her debut in Wicked Musical in the Chicago sit-down production on January 24, 2006 as the standby for the role of Elphaba, on December 12, 2006 assumed the lead role and continued for two years in the show’s Chicago company. 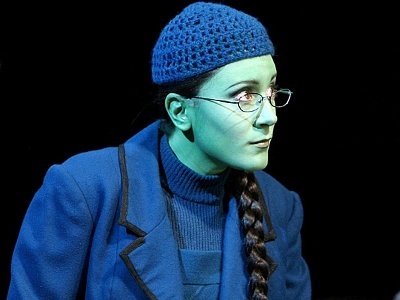 Roscioli made her Broadway debut on July 21, 2009, reprising her role of Elphaba in the New York company of the musical. She played her final performance March 21, 2010 and was succeeded by Mandy Gonzalez. Dee Roscioli reprised the role on the show’s First National U.S. Tour, with performances from June 7, 2011 to October 2, 2011, replacing Jackie Burns. Dee Roscioli holds the distinction of having played Elphaba in more performances than any other actress. She will return to the First National Tour in Las Vegas on September 25th, replacing Nicole Parker. Roscioli joins principal cast members Patti Murin as Glinda, Kim Zimmer as Madame Morrible and Tom McGowan as The Wizard. The Wicked cast also features Justin Brill (Boq), Clifton Davis (Dr. Dillamond), Cliffton Hall (Fiyero), Demaree Hill (Nessarose), Carla Stickler, Lauren Boyd, Antonette Cohen, Rick Desloge, Luis Augusto Figueroa, Timothy A. Fitz-Gerald, Napoleon W. Gladney, Brenda Hamilton, Courtney Iventosch, Spencer Jones, Trevor Ryan Krahl, Renee Lawless-Orsini, Philip Dean Lightstone, Marissa Lupp, Michael Mahany, Kevin McMahon, Ashley Dawn Mortensen, Cassie Okenka, Christopher Russo, Adea Michelle Sessoms, Sarah Schenkkan, Pamela Shandrow, Ben Susak, Shanna VanDerwerker and Mikey Winslow. Wicked musical performances at The Smith Center run through October 07, 2012. Buy Wicked Las Vegas Nevada Tickets Online at discounted prices, Get $10 OFF on Orders of $350 or more by using code AFF$10.